Sophie Turner already revealed Game of Thrones ending to her friends. Not sure whether or not to feel envious of the 'few people' who already know the ending to the HBO's hit series Game of Thrones final season! 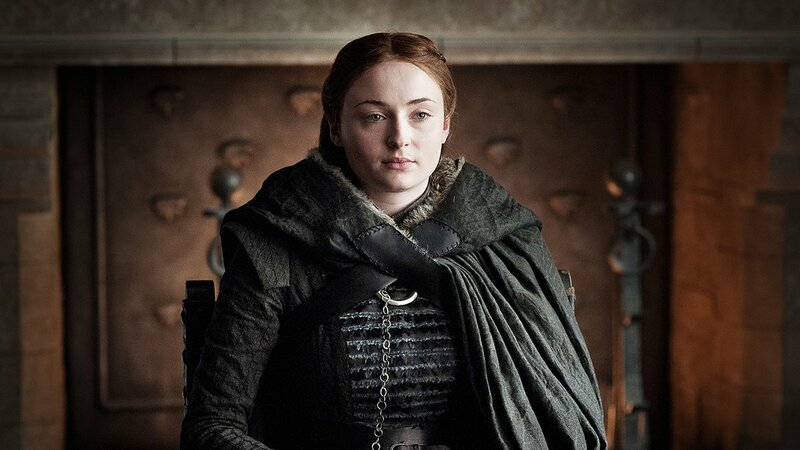 Apparently, the famous series actress Sophie Turner who portrays the role of Sansa Stark lost her chills when it comes to the final series spoilers. Yes, Sophie Turner already shared the series ending to a few of her closest friends. Turner, who appears with striking red hair in the series herself said in an interview with American fashion magazine W, she is 'terrible' at keeping secrets, and in fact, already leaked to a few people on how Game of Thrones ends. "I’m so bad at keeping secrets. I don’t think people tell me things anymore because they know that I can’t keep them. I’ve already told the ending of Game of Thrones to a few people." But luckily, whilst spilling the beans, the 22 years old actress was confident she was spilling to the right people, whom she trusted to keep it as a secret. "'Hey, if you want to know, I’ll tell you.' But it’s people that I know, not random people. It’s people that I know will keep the secret." Many of you probably already wondered if her fiance Joe Jonas belongs to the close lucky people she shared the secrets to, but the DNCE star previously said to Variety magazine he had no intentions of knowing any spoilers. "Sophie won't tell me and she knows if she told me I would be so heartbroken because I'm such a big fan of the show." Likewise, Turner's co-actor Kit Harington who plays Jon Snow in the series previously used the fate of the character to get away from speeding ticket. Harrington revealed during his appearance on The Tonight Show with Jimmy Fallon back in 2016, when a police officer caught him for over speed driving and gave him options to release him if he (Kit) tells him whether he lives in the next season (7) or not. However, the actor has now managed to keep the ending under wraps, as he admitted he made sure to not ruin the ending season to her close ones, not even her spouse Rose Leslie, her former co-star. Game of Thrones final season airs on TV from 14th April.